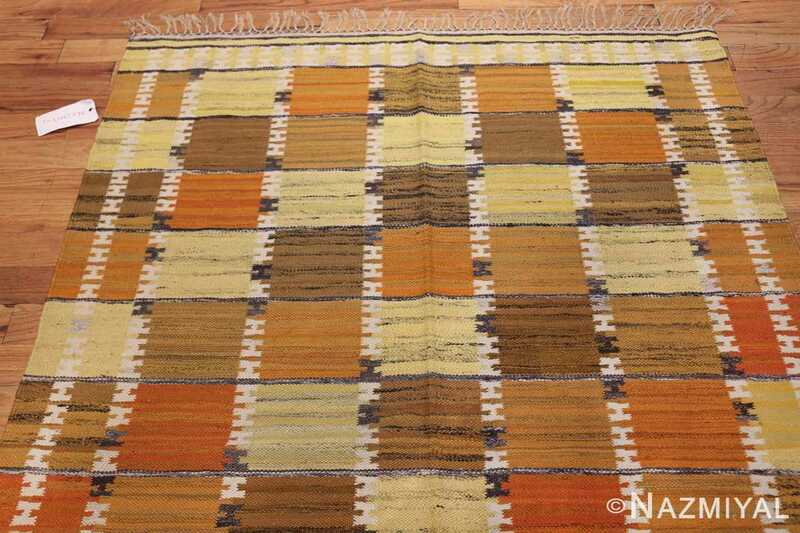 This vintage mid-century designer rug depicts a graphic pattern of precise warm-tone tiles with variegated accents and detailed right-angle decorations. 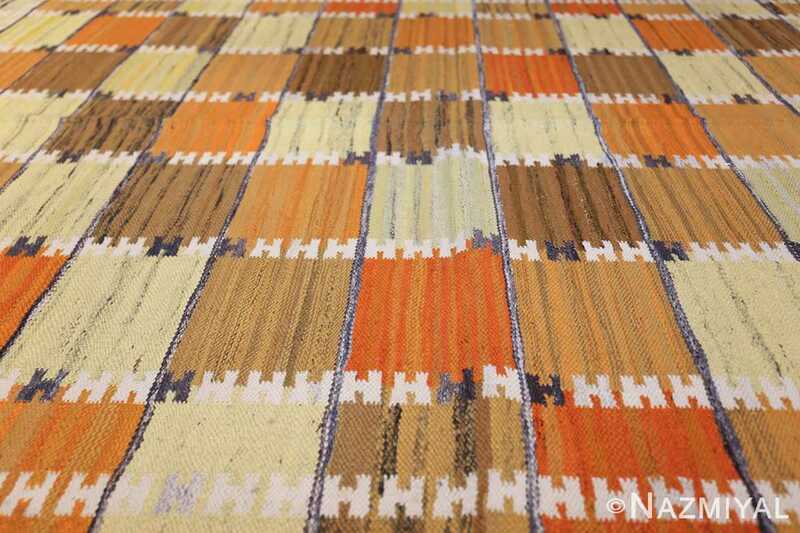 Vintage Scandinavian Rug by Wanda Krakow, Origin: Sweden, Circa: Mid 20th Century – This wonderfully modern mid-century vintage rug features a stark, well-defined pattern of repeating tiles that are rendered in an ideal selection of 20th century colors. 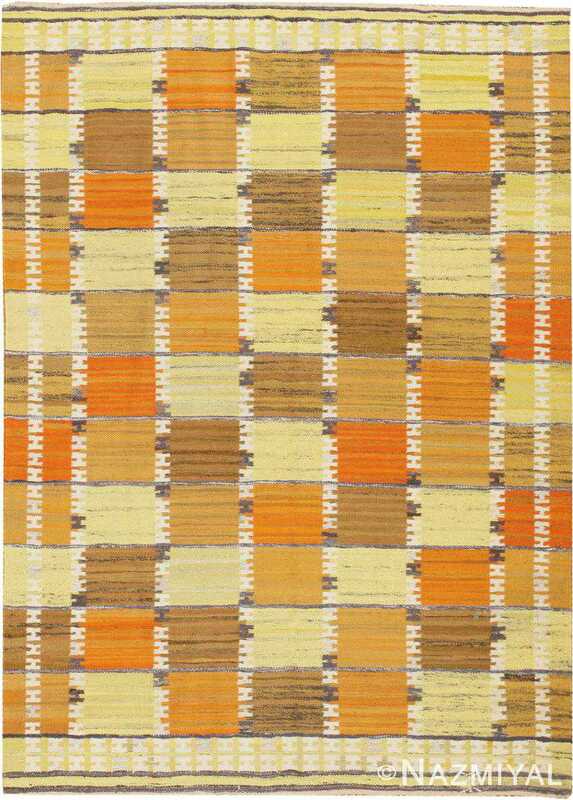 Pale lemon yellow details and opposing charcoal gray accents are paired with variegated mustard yellows, woody browns and bright persimmon oranges that are distinctly mod. 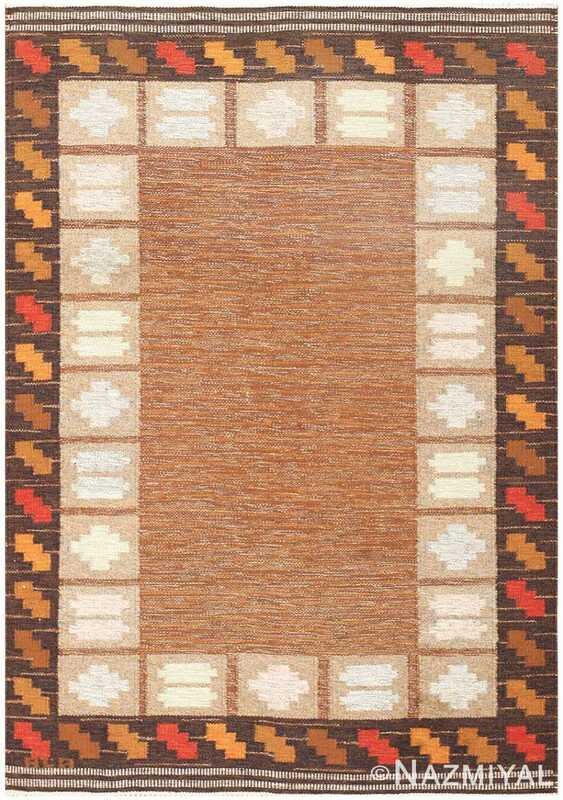 H-shaped dividers transect the composition and maximize the strong right-angle geometry while doubling as border decorations that intersect the outermost tiles and fill the ornamental end pieces. 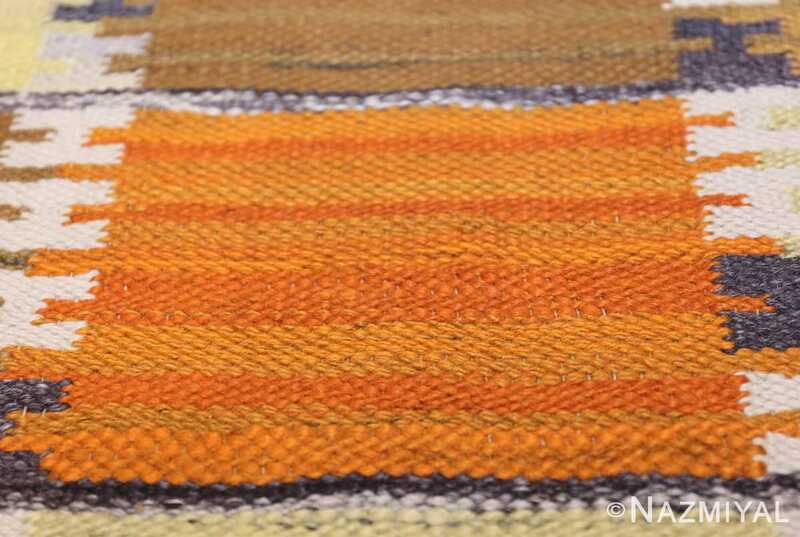 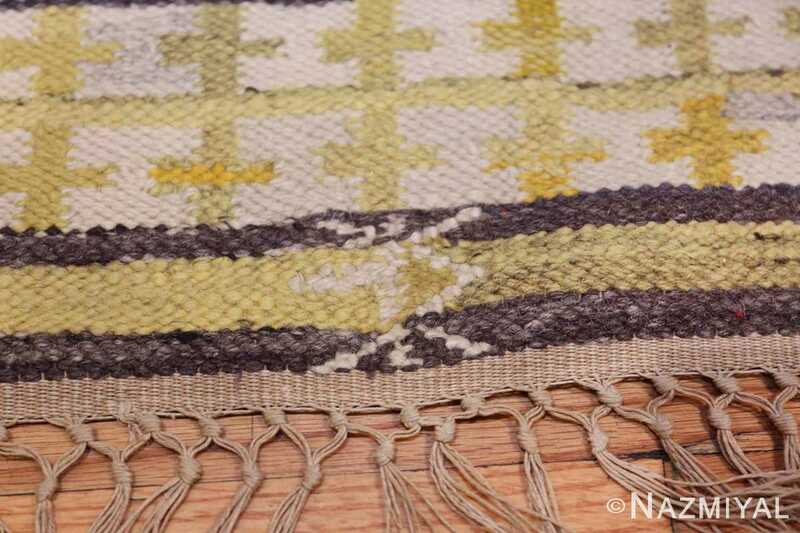 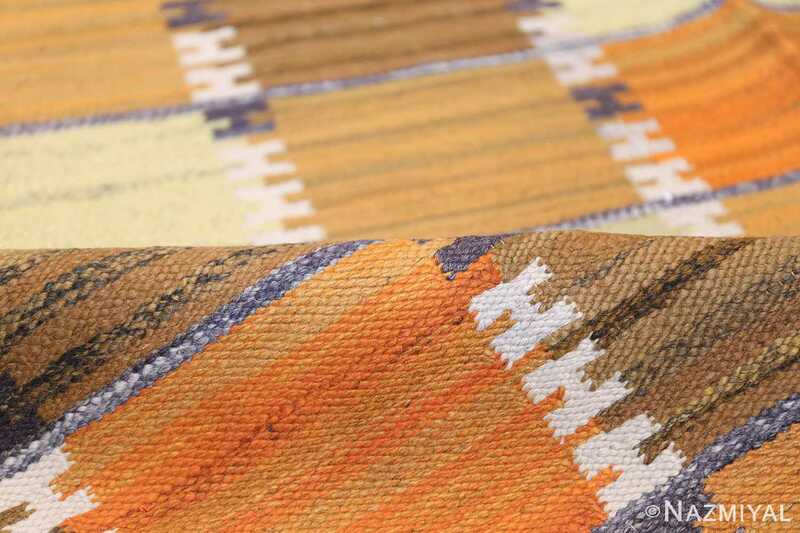 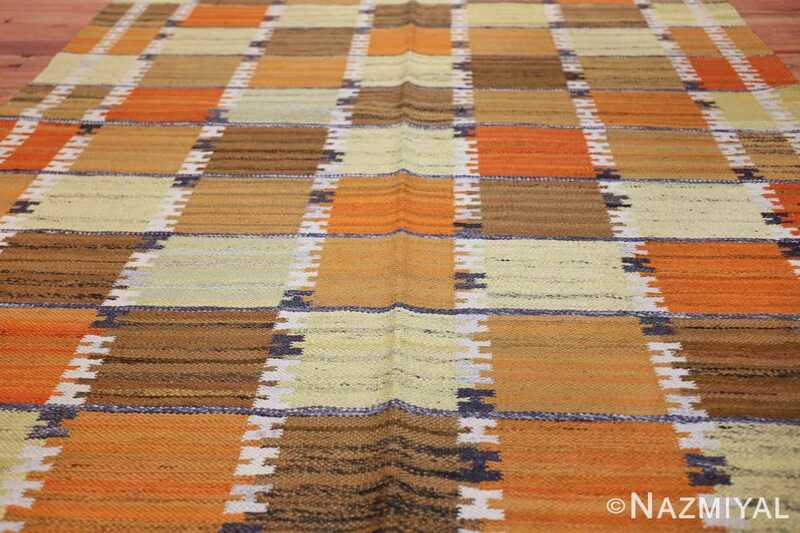 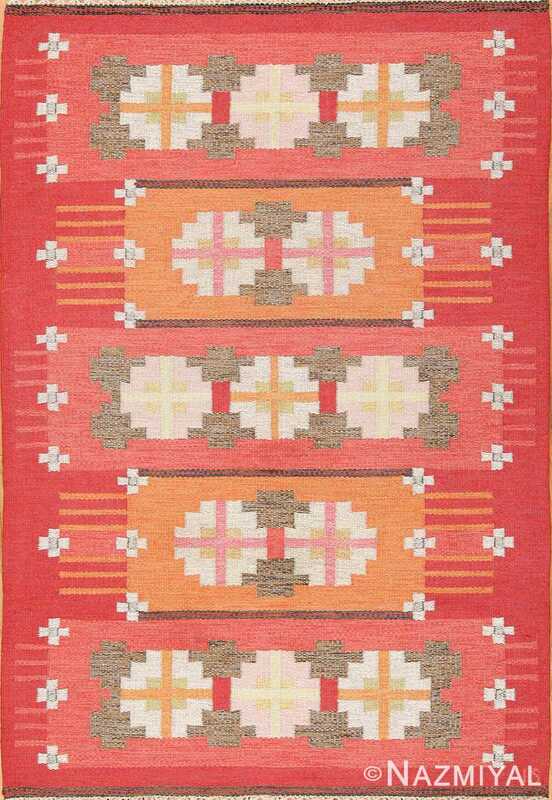 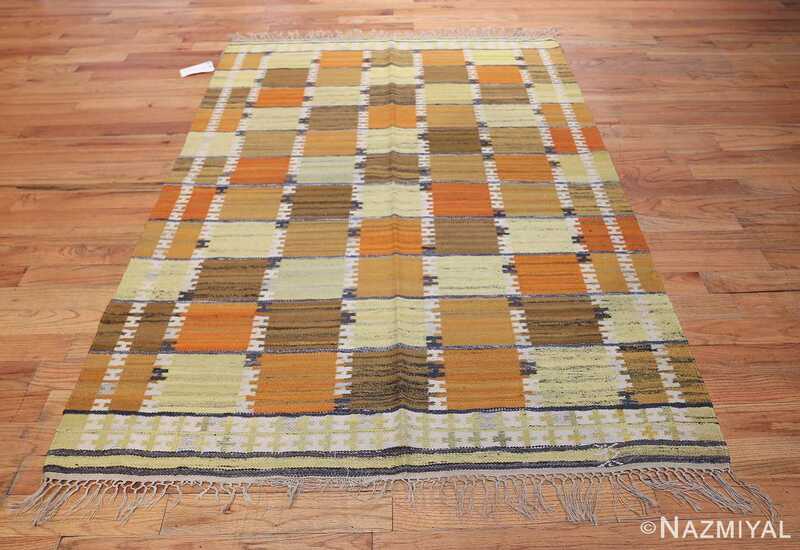 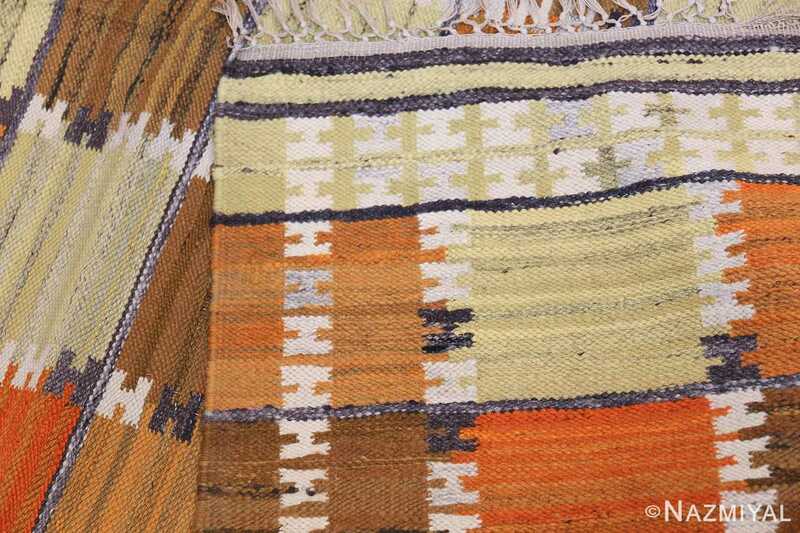 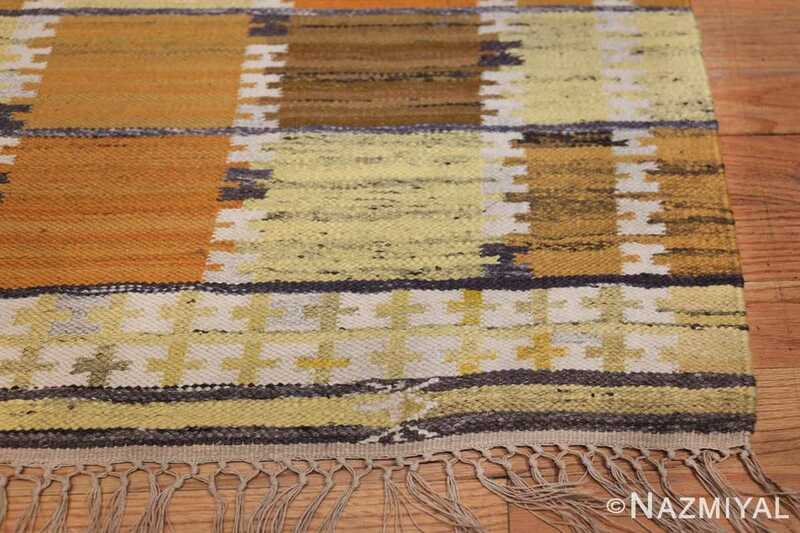 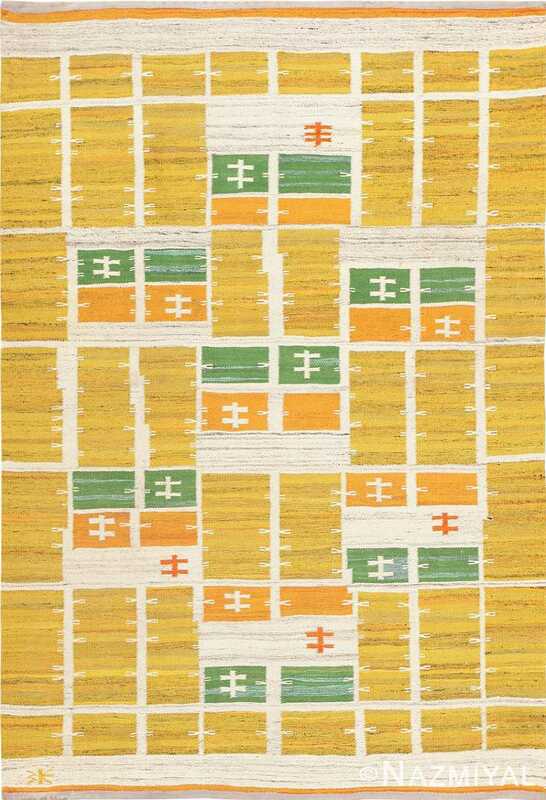 From the tonal variegation to the uncompromising geometry and lively family of warm colors, this vintage Swedish flat-weave rug embodies the mid-century zeitgeist.